One of rail’s best distinguishing points over auto and air travel is its environmental sustainability, and Amtrak is driving that point home by joining the Carbon Disclosure Project (CDP). CDP is a nonprofit organization that measures, discloses, manages and shares environmental information for companies and cities around the world. 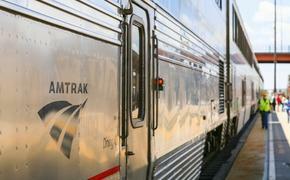 Amtrak will report its greenhouse gas inventory from 2010, 2011 and 2012, as well as its climate change strategy. Among Amtrak’s environmental initiatives is the introduction of 70 new Amtrak Cities Sprinter (ACS-64) electric locomotives on the Northeast Corridor and on the Keystone Corridor from Philadelphia to Harrisburg, Pa. The Amtrak Cities Sprinter is designed for easier maintenance and improved energy efficiency by using a braking system that feeds energy back into the power grid. The first new locomotive will enter revenue service this fall. Other Amtrak initiatives focus on fuel conservation and power reduction in locomotives through techniques employed by locomotive engineers and reductions in idling time on diesel locomotives with automatic start/stop devices, which cycle the engine on and off depending on air temperature. Amtrak decreased electricity use by 3.7 percent in fiscal year 2012 compared to fiscal year 2011 and decreased natural gas use by 42 percent in fiscal year 2012 compared to fiscal year 2010. According to the U.S. Department of Energy’s Transportation Energy Data Book (2012), travel on Amtrak trains is 17 percent more energy efficient than air travel and 34 percent more than travel by car. The American Public Transportation Association (APTA) recently awarded Amtrak the Bronze level of the APTA Sustainability Commitment by completing a sustainability inventory, implementing green initiatives and setting goals for reducing fuel use in locomotives and electricity at facilities.